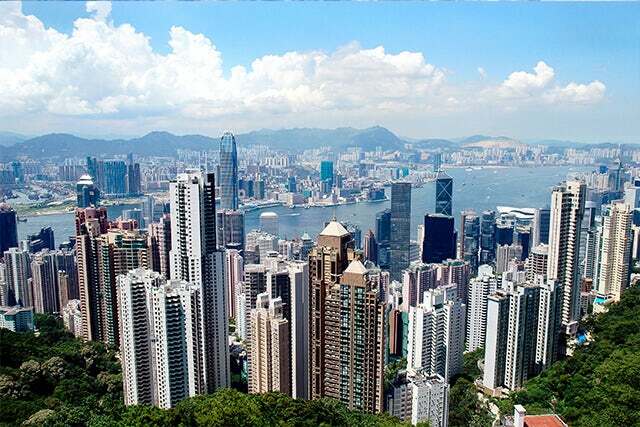 Discover Hong Kong's must see attractions! Experience the stunning views of the harbour tower above you while the names of Hong Kong's movie icons lie beneath your feet. Out-of-this-world view of skyscrapers, the glittering harbour and the green hills of the distant New Territories. Magic, adventure and the world's favourite cast of characters await. Embark on a journey with magical adventures for all ages. Browse the clothing, accessories and souvenir bargains. Souvenirs, snacks, opera singers and fortune tellers - ordered chaos in action. One of Hong Kong's more striking constructions provides the backdrop for a ceremony rich with historical significance. A Taoist, Buddhist and Confucian temple honouring a legendary monk. A landmark from the Age of Steam and a reminder of Hong Kong's colonial heritage.